It was the 30th of March, 2017, World Bipolar Day. 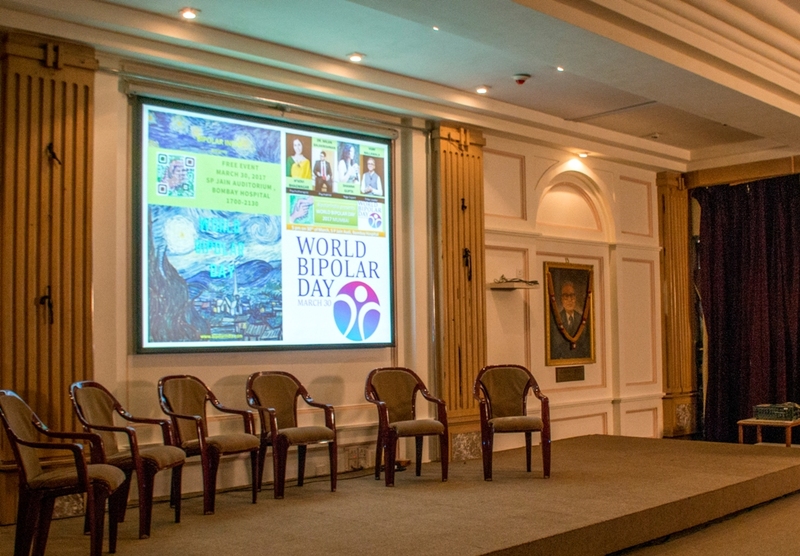 Just like last year, BipolarIndia organised the only public function of its kind in India to mark the day with a grand Event. An Event designed to spread awareness, educate the audience and bring people from various parts of the country together. Gratifyingly, we achieved this and then some more. After enjoying the tea/coffee and snacks, our evening kicked off! 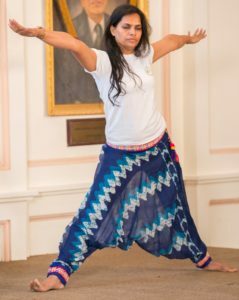 Yogacharya and Wellness Consultant Shammi Gupta began the proceedings with a presentation and demonstration of Hathayoga. 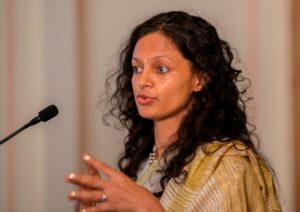 Her talk emphasised on techniques to bring balance in an illness which is essentially about imbalance. She also cautioned on how breathing exercises need to be carefully chosen in BD~ hyper breathing exercises could agitate the mind while on the other hand deep meditative relaxation state could depress the mind. Sanjay Agarwal, who had joined us from Surat, then shared his experience in dealing with Bipolar Disorder. 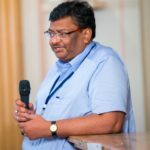 How he had not only learnt to cope with it but now went on a new path of compassion…of offering support to the mentally ill at a civic hospital on a daily basis. He splits his time between his business and his passion. ‘My family thought that I was incapable of coping with my illness and left me. I am glad they did for I think that I am better off on my own now.’ he shared with us emotionally. At last year’s Event, I had already shared my own story of struggle with and recovery from Bipolar Disorder. My focus this time was on the larger picture, that is, how the Bipolar community was bonding through the Peer Support Meets and how we were planning to take it further. Time to make our Big Bang announcement!! 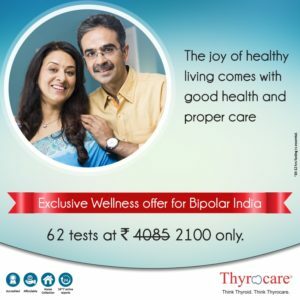 The unique and disruptive collaboration with Thyrocare. Almost all Bipolar afflicted who are under treatment are required to undergo blood tests to monitor drug levels in the bloodstream as well as any side effects on the thyroid or liver function, among others. The issue is that these tests are quite expensive and are called for anywhere between once to twice a year, depending on how the outcomes are. To illustrate with an example, a fortnight ago, I went through a gamut of such tests which cost me INR 8,245/-. Imagine spending such amounts twice in a year~ certainly beyond the reach of a majority. The breakthrough is this customised Package of Tests that will now cost just Rs. 2,100/- (a potential saving of 6000 each time!). This disruptive pricing has been made possible because of dual reasons. One, the CEO of Thyrocare sees the significant subsidy as a CSR initiative that would benefit many. Secondly, Thyrocare’s fully automated lab (the first and only of its kind in India) pushes down costs to make the offer sustainable. I personally think, it is a step towards more such collaborations in the coming time. After all, beyond awareness and motivation, we must find ways of making help more meaningful at a level which makes a real difference. “If I may be permitted, I would need a little more than ten minutes to speak, for I have so much to tell”, said Akhileshwar Sahay, and I readily nodded in approval. And then followed a speech by him that held us in thrall. Firstly, the mind-boggling authority with which he shared information about the recently passed Mental Healthcare Bill, in which he had taken a lead role as one of the key policy makers. Akhileshwar spoke about how draconian the previous laws were and how dramatic and beneficial the provisions of this new Bill are to its intended beneficiaries. And then he narrated his gut wrenching emotional story of upheavals, trauma, struggles and ultimately the triumph of the human spirit against all odds. That he can still function with any degree of normalcy is a miracle, trust me! One could see how that resonated with his own story of incredible challenges and then overcoming them with the stellar support of his wife. Naturally, he was greeted with a standing ovation as the crowd rose as one to applaud this great man!! Dramatic Storytelling of a chapter from my Book was next on the cards. Nilum, an accomplished storyteller took us into the world of the protagonist’ s family and how BD plays spoilsport. Does our heroine triumph or does she falter? The purpose of this narrative rendition was to neatly bring to the fore how exactly a family is torn apart by BD and how family support is key in the recovery process. In the end, true love wins the day. The story built a picture of how BD plays out in a person’s life and how the family must rally around the afflicted. There was so much even for me to takeaway from this presentation~ thoroughly researched and compiled to bring immense knowledge in one compact capsule. 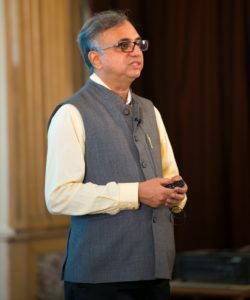 I am sure even the lay person in the audience must have benefited from his talk. 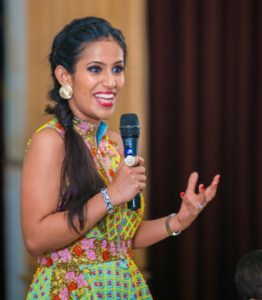 Our Guest of Honour, Mrs. India 2015 and Mrs. Earth 2016, Priyanka Khurana Goyal then addressed us. Her understanding and compassion for the cause was obvious. A committed soul had flown in from New Delhi especially to interact with her tribe at this Event. 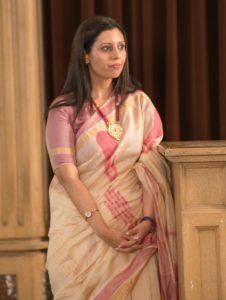 Tripti Mishra, educator, mesmerised us with her emotional story~ a bipolar disorder afflicted herself, she shared the ups and downs in her life candidly. Her presentation demonstrated how journal keeping helped her modify her clients’ thought patterns by making them analyse their thought processes. As a Bonus, here’s H’vovi’s Presentation!! She also explained how EMDR could help mitigate past trauma or phobia, challenges so often present in BD afflicted. 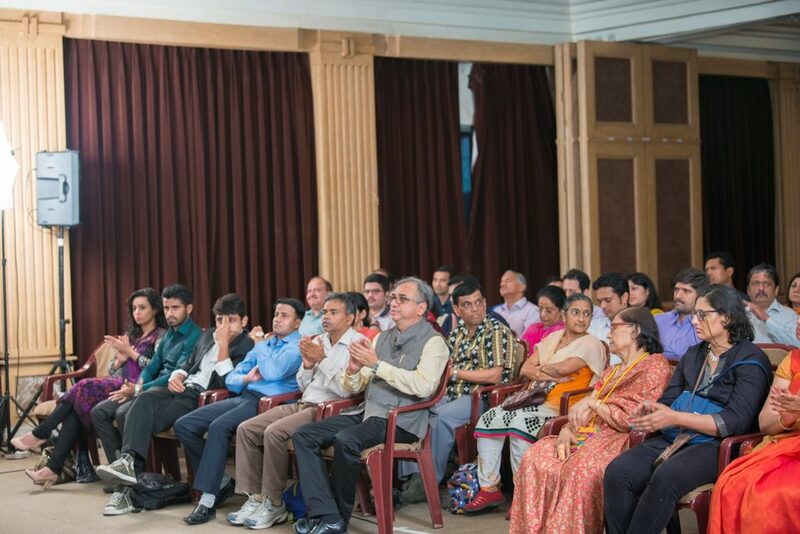 Meanwhile, whetted and stimulated by all this information, the audience was eager to get its queries answered. 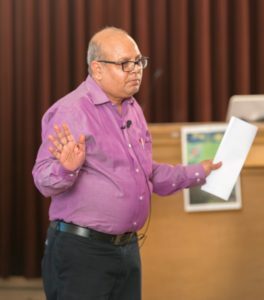 The Panel discussion was an informal talk, mainly based on an open Q & A format so that the audience could actively engage themselves in the discussion. Hvovi, Dr Milan, me were joined by Certified Nutritionist Mahakmitra Bhandari & Fitness Trainer Saurabh Chavan. 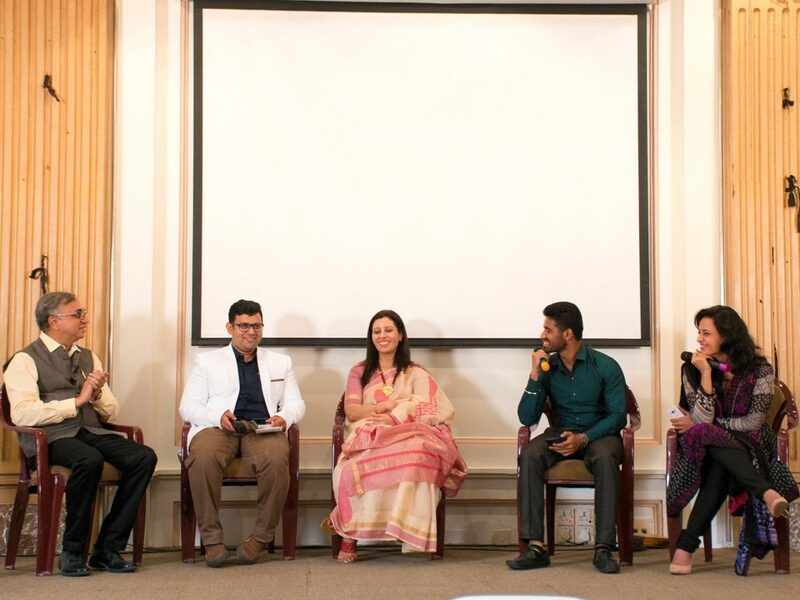 BipolarIndia expresses gratitude to all the Speakers, Medical Experts, Mrs Earth Priyanka Goyal, Shammi Gupta, Mahakmitra & Saurabh for sparing time from their commitments to make the evening such a memorable one. Thanks to our Peer Support Group~ Guys, your enthusiasm is the fuel to our thrust! AV Power, the generous sponsors of the hi-tech AV equipment at the show. Let’s Walk Together >>> the future bodes well for collaboration and compassion.